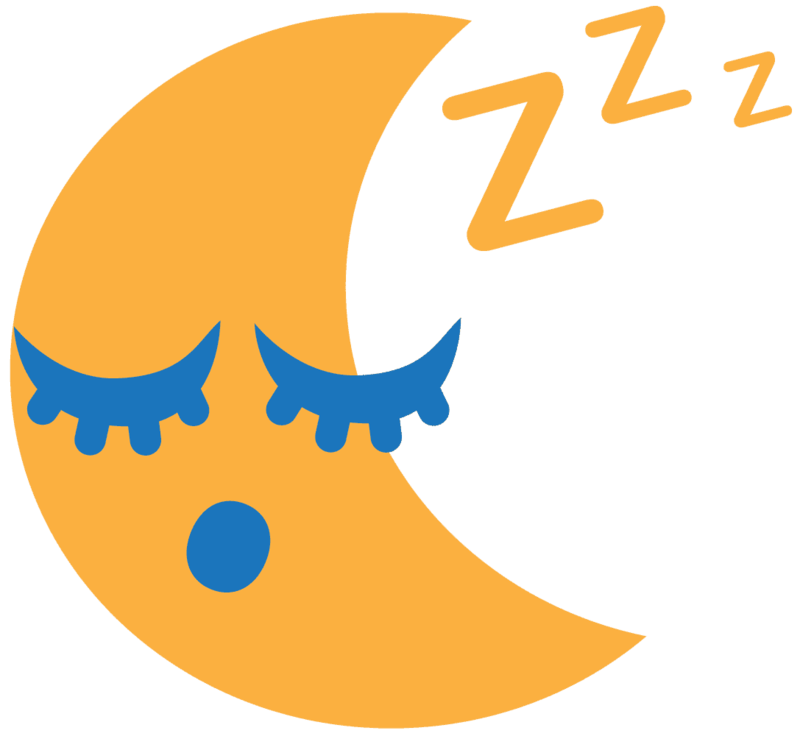 Are you having trouble sleeping because of night sweats or hot flashes? That is a predicament for many, especially those who live in a warm climate. It’s recommend that you allow air to circulate in your bedroom, which can keep out heat and help your room to stay cool. Start by opening windows and doors, even cracking them open to pull warm air out of your bedroom. You can also keep the blinds and curtains closed throughout the day, which keeps the sun out while still letting in air. Another way to reduce heat in the room is by turning off all lights and appliances when not in use, as they can also generate a lot of heat. This may seem like a small step, but it does wonders in the long run! Have you ever considered that the source of the heat comes from what you’re sleeping on? Look at your bed and see what needs to be stripped off to stay fresh! Please get rid of any thick blankets and duvets, replacing them with thinner sheets or those made of breathable cotton. You might want to replace your bedding and pillowcase with natural materials, as they are known to absorb moisture and remove heat from the body. Again, cotton sheets work wonders, as well as those made of bamboo. Another helpful trick you should consider is to cool your pillowcase and bed sheets in the fridge! Place them in a ziplock bag to keep them dry, then take everything out when you’re ready to sleep. If you’re always wearing thick pajamas and warm socks when snuggling in your bed, then that’s probably a significant factor as to why you feel hot. That doesn’t mean you need to be naked when you sleep, though! If you’re uncomfortable stripping off clothes, then opt to wear clothes made of light cotton. They will be able to absorb perspiration, which is great for those who suffer from night sweats! For those with long hair, opt to tie it back, which will keep your neck free and cool. It isn’t just about what you do in the bedroom, but what you eat and drink in the kitchen, too. As much as possible, drink cold water or beverages during the evening, and also keep a glass by your bed in case you get hot or thirsty. Just make sure you don’t drink too much, or you’ll have to make many trips to the bathroom. Focus on consuming water and avoid caffeine or alcohol, as this can dehydrate you, causing you to feel hot. Also, avoid heavy meals right before you sleep, which causes overactive digestion and can make you feel steamy. Plus, no one likes the heartburn symptoms that can come with it! If you feel hungry before bedtime, opt for a cold glass of milk or a light snack, like yogurt or a banana. If you’ve tried the rest of these tips, but to no avail, it’s time to consider getting a cooling mattress or splurge on a quality pillow. When looking for a pillow or mattress, choose one with cooling gel materials, which can regulate your temperature and keep you fresh throughout the night. If a mattress and new pillows aren’t within your budget, you can invest in a cooling gel topper and pillow cases, which can help conduct heat away from your skin while helping you sleep more comfortably! A lot of us tend to go to sleep right after a stressful night of work. That’s why it’s recommended that you relax and steer clear from stressors before bedtime, as it will have you feel hot or even cause you to toss and turn, creating heat. You can lessen the stress by trying meditation techniques, using essential oils (mixed with cold water), or to take a cold shower to lower your body temperature. If you don’t like night showers, you can make cold compresses to put on your pulse points. Through placing a cold towel on your pulse points, it can cool the rest of your body efficiently. Put a bag of ice or a cold towel on your wrist and/or neck for a few minutes while in bed. 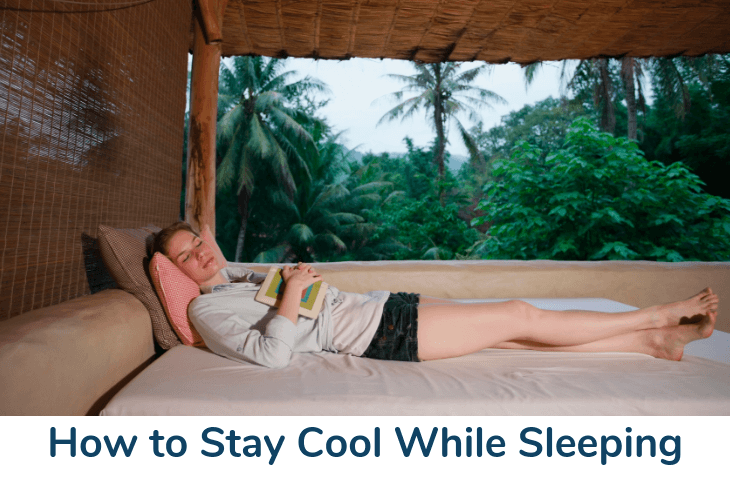 Use this guide on how to stay cool while sleeping as a starting point to ensure a fresher night’s sleep. Don’t wait any longer and try some of these tips tonight! Sleeping cooler – and therefore,more comfortably – will help you get the rest you both need and deserve.